Every year on 19 September the world celebrates Talk Like a Pirate Day. 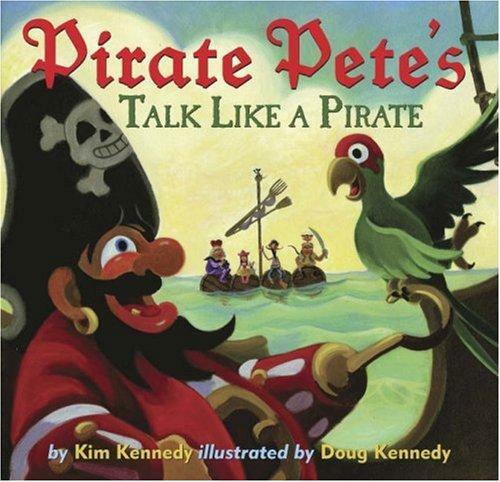 In search of a crew, Pirate Pete and his parrot look for "stanky scallywags" who possess certain conversational skills. Once you mastered the art of pirate talk you can practice your new skills while reading other pirate stories. Here's a couple that are available on the shelves at some of the shire libraries (as of the time of posting). The hairiest pirate who ever lived! On a school field trip to the museum, young Captain Flinn and his crew recover a museum treasure from a dastardly group of pirate dinosaurs. Man Booker Prize for Fiction shortlist, 2011.